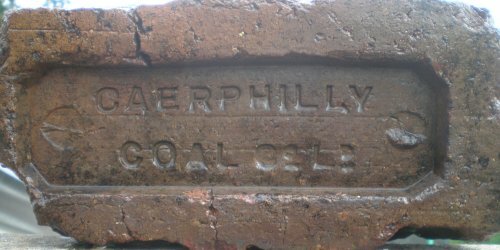 Any additional information you may have on any Welsh bricks below is most welcome. 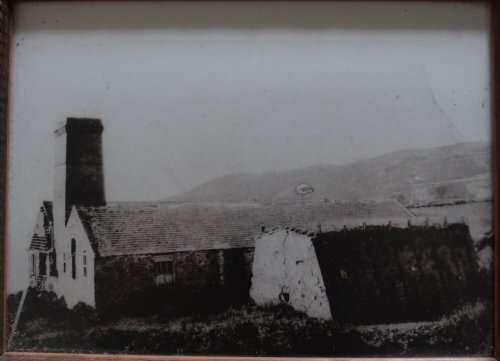 Aberaman Ironworks was built in 1845 in the Cynon Valley by the great ironmaster Crawshaw Bailey, the brickworks forming part of the inventory. The ironworks closed in 1866, and in 1867 the entire concern, including the brick works, was bought by the Powell Duffryn Steam Coal Co, thanks to Lawrence Skuse for the info. Photo by Richard Paterson who adds: After nationalisation of the coal industry in 1946, many of the previous owners, such as Powell Dyffryn, restructured or diversified, often selling or closing activities ancillary to coal mining, like brickworks. However, the Aberaman Works was still operating in October 1964. Thanks to 'Brotherglyn' for these Aberdare ones. the Tanybryn brickworks (see separate entry) at Llwydcoed, near Aberdare, was established in 1906 on the site of the former Llwydcoed Ironworks, which had closed in 1875. 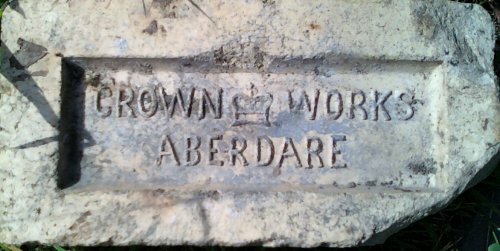 Eventually the brickworks became the Aberdare Brick Company and had a number of owners, probably including Powell Duffryn, who owned the Aberaman brickworks, some three miles down the Cynon Valley. The ABC works closed in December 1981 and the extensive site is now (January 2014) being turned over to housing. Photo and info by Richard Paterson. Abersychan is near Pontypool in South Wales. There is an entry in Kelly's for 1906 listing 'J Gregory of Pentwyn, Abersychan (see Gregory J). 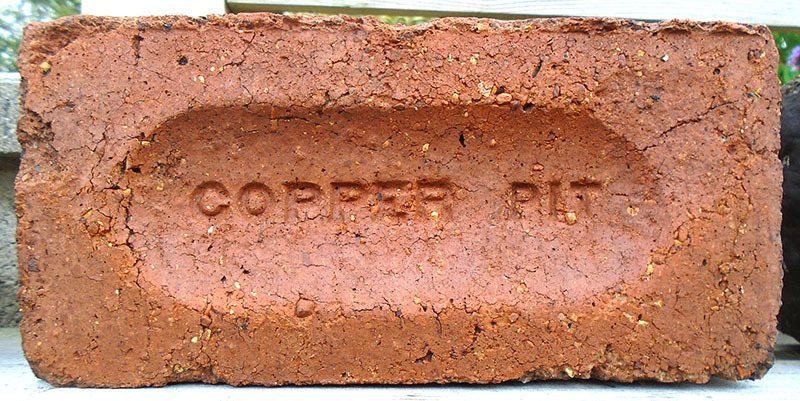 In the same year he is also listed as manufacturing fire bricks. 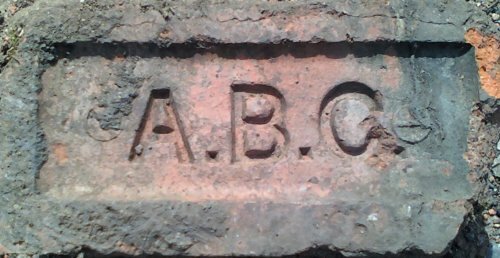 In 1926, Kelly's lists the 'Abersychan Brick Co of Pentwyn, Abersychan'. 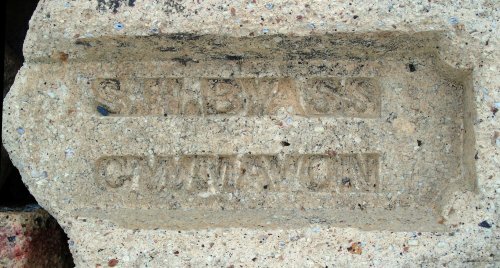 In 1948, the Industrial Directory for Wales and Monmouthshire (IDWM) names the 'Abersychan Brick & Slag Co', but in the 1960 IDWM, the 'Abersychan Slag Ballast Co' appears. The last record for this company is in the IDWM for 1964, thanks to Lawrence Skuse for the info. The firm was founded in 1853 as Allen & Younger and became N B Allen in 1871. 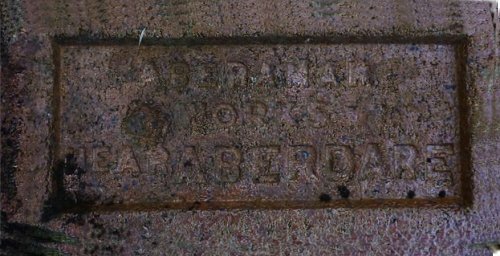 According to Nansi Selwood's excellent 'History of the Villages of Hirwaun and Rhigos', the firm made bricks from silica brought via a dedicated mineral line from two quarries, Yr Eithin and Y Foel, in Penderyn. The bricks were reputedly of high quality and won a prize at the 1880 Paris Exhibition, though a flourishing export trade ended with the outbreak of WW1 as the bricks were required for use on the home front. I remember 'the Quarry Line' being in use and I know that, eventually, Allens were taken over by General Refractories, later GR Stein, before closure in 1973. Photo by Michael Kilner, taken adjacent to the Blaen Pig waste tips, at Pwll Du, Blaenavon. Info by Mike Stokes and Richard Paterson. The variously spelt Allt-yr-yn works was previously operated by Davies & Co and latterly part of the National Star Group. The London Gazette records that the 'New Alteryn Company' was put into voluntary liquidation in 1931, presumably as a result of the acquisition of the works by the Star Group. 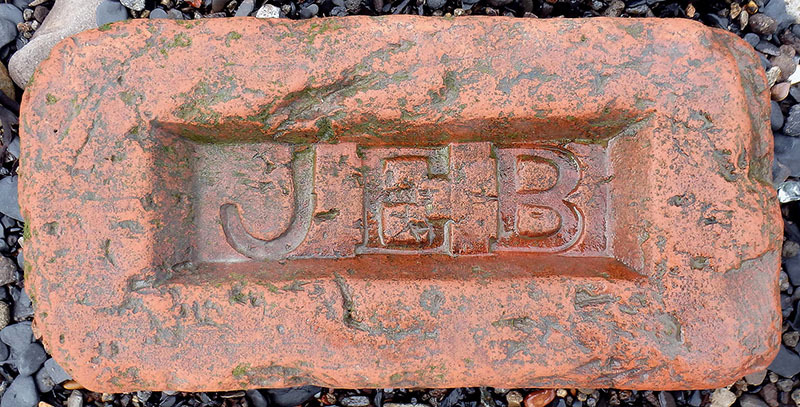 This brick was photographed at the Fourteen Locks Canal Centre near Newport. Photos and information by Richard Paterson. 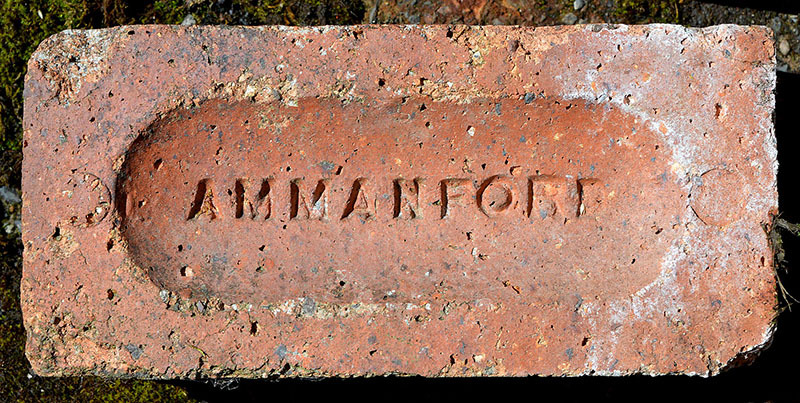 The Amman Brick Co, of Brynamman, near Ammanford in Carmarthenshire. The company was in existence up until about 1926. Photo and info by Richard Paterson. 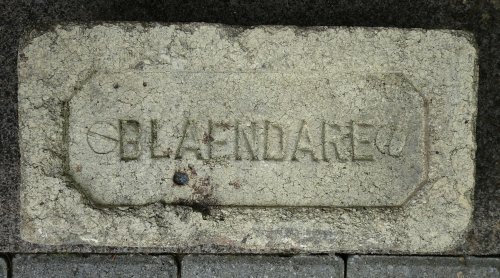 A Pembrokeshire brick, thanks to Mike Bennett for the photo. Barry Docks was opened in 1889 and soon became the world's largest coal exporting port. The population of Barry rose from 1,000 to 30,000 in the space of a few years and Arkell's Brickworks, in the neighbouring village of Cadoxton, was one of the beneficiaries of the resulting building boom. The works was established by Henry Arkell (1838 - 1902), originally from Gloucester, who had previously been a shoe merchant in Penarth and then kept the Windsor Hotel in Cardiff. After Henry's death, the works was owned by his wife, Caroline, and managed by his son, Herbert - it was still operating in 1916. Photo and info by Richard Paterson. Photographed in Corris, Powys. Probably made in Caernarfon, Gwynedd. Marie took this photo. Beaufort is a small village near Ebbw Vale. Famous for very hard engineering bricks. The Empire State Building in New York is allegedly built on a foundation of these bricks. Thanks to Lawrence Skuse for the info. 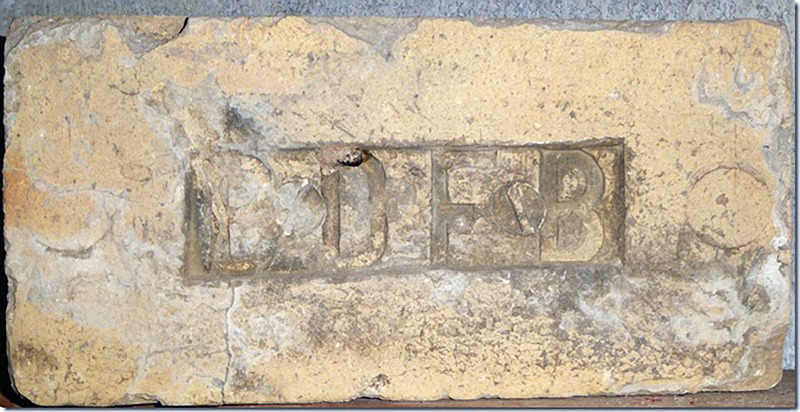 A very old B B C example found at Cwmbyr Isaf, Risca by Phil Jenkins. Jonathan Edwin Billups, Llandough, Cardiff. Kelly's South Wales Directory 1895. Jonathan Edwin Billups was born on 21 September 1827, in Charteris, Cambridgeshire. He came to Cardiff, via Llanelly, in 1856-7, and soon became the principal contractor for the Taff Railway Company. He founded the Llandough brickworks on Penarth Road (later, Billups Brick Co. Ltd), was proprietor of the Cambrian Engine Works at West Bute Dock, and undertook large contracts building railways in Sweden. He also built the Dowlais ironworks, East Moors, Cardiff, and the dry dock for the Bute Shipbuilding Company. Photo and info by courtesy of the Frank Lawson collection. Photo by Mike Stokes, believed to be Bishpool Brick Co. Bishpool Brickworks, Chepstow Road Newport, opened c. 1886. Blaendare brick works stood where Blaendare Road joins The Race, in Pontypool. This was an industrial site dating back to the early 18th century, with, at various times, an ironworks, coke ovens, a brick works and a drift colliery which operated until 1948. A house built for the site manager in 1810 from white bricks made at the works still stands overlooking where the brick works was located. Slater's Directory for 1868 lists 'The Blaendare Co Ltd, Pontypool. Kelly's of 1871 lists the 'Blaendare Colliery Co, The Race, Pontypool. The last reference to it is in Kelly's of 1906. 'Special Report on the Mineral Resources of Great Britain', HMSO, 1920, quotes The Blaendare Co as situated on Blaendare Slope, Upper Race,1 mile south west of Pontypool. Photo by Michael Kilner, info by Lawrence Skuse. Photo courtesy of Gareth Thomas. Believed to be related to the Lan colliery/Pentyrch Ironworks. Photo and info by Mike Statham. John Brewer (1811 - 1888) lived at Bovil Farm, in Machen, between Caerphilly and Newport, where, in 1851, he was agent of the Rumney Railway before it was taken over in 1863 by the Brecon and Merthyr railway. He acquired the nearby Bovil Colliery and developed its adjacent brickworks, which seems to have been a 3-kiln operation, the remnants of which were obliterated by post-war housing development. 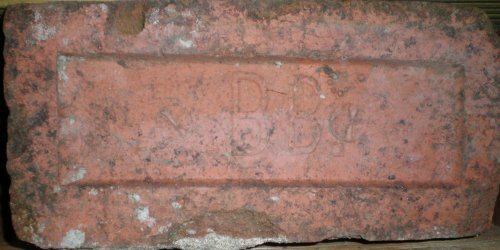 In 1877, John Brewer and his son Samuel sold out to their partners, the Beddoe family, after which his name was presumably discontinued from the bricks in favour of 'Machen'. 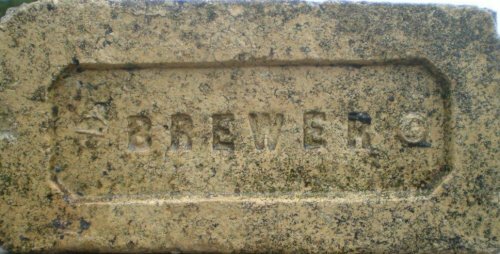 Brewer bricks have the same design of frog as some earlier Machen ones. The colliery closed in 1894, so it is likely that the brickworks ceased to operate at around the same time. 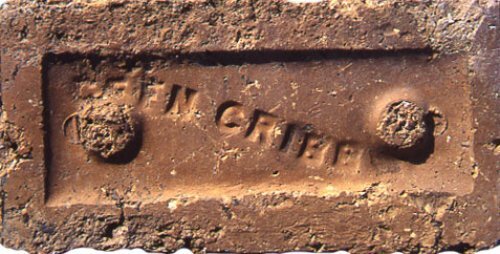 The brick was photographed near John Brewer's residence, the (now ruinous) Bovil Farm. Photo and information by Richard Paterson. 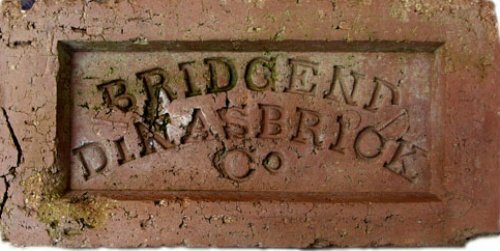 The Bridgend Dinas Brick Co was situated at the tiny hamlet of Fountain near Aberkenfig in South Wales. The works was in production for just a few years at the end of the 19th century and into the early 20th. It was on a site on the opposite side of the Duffryn Porthcawl railway line to the infamous Parc Slip Colliery where so many miners lost their lives on August 26, 1892, when a huge explosion shook the Parc Slip mine; 112 men and boys died with just 39 survivors: some remained trapped underground for a week before being rescued. Sixty women were widowed and 153 children left fatherless. The mine closed in 1904. A memorial to the disaster still stands consisting of 112 stones - one for every death. Found on the Cwm Ogwr Cycle path between Blackmill and Gilfach Goch by Gareth Thomas. 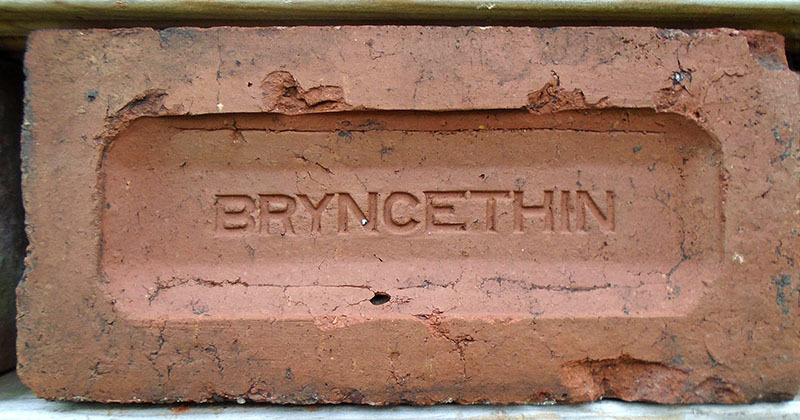 A 'Bryncock' brick from the Bryncoch Brickworks, which was associated with the colliery of the same name and stood on the Glamorganshire Canal at Taff's Well, a few miles north of Cardiff. The works seems to have been in operation between about 1880 and 1910. Photo and info by Richard Paterson. http://www.opobs.co.uk/mainsite/brickworks/brynmenyn.html Photo and info by Mike Stokes. The1881 Census lists John Burgoyne as a brick maker and the 1884, 1891 and 1895 Kelly's list John Burgoyne at the Little Mill brick kilns. He died in 1906, his estate going to Alfred Burgoyne and David John Lougher. The latter apparently took over the works as his name is listed against it in the 1906 Kelly's. 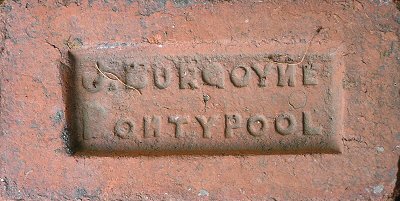 A brick works appears to have been in the Little Mill, Pontypool area since at least 1850. 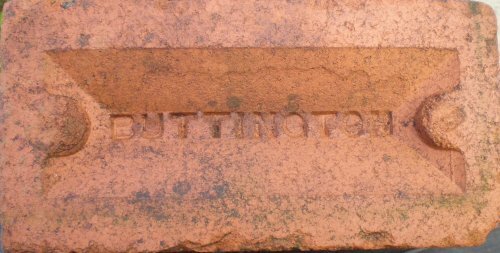 Some Burgoyne bricks are stamped "Est. 1850". The site was first referred to as the Little Mill Brick Co in the 1922 Kelly's Directory. Once possibly the most prolific of the Eastern Valley (Torfaen) works, it closed in the 1980s and is now a Go-Kart track. Thanks to Lawrence Skuse for the info. Burgoyne P P, a later product of J Burgoyne's works at Pontypool, photo by Richard Paterson. Burgoyne plastic pressed, photo by Richard Paterson. Burgoyne est. 1850 Plastic pressed. From the Lawrence Skuse collection. Originally the Bute brickworks, this works became part of the 'Duffryn and Llanishen Brick, Tile, Sanitary Pipe and Terra Cotta Co', also at Aberaman. The works is shown on the 1875 map and was working in 1891 but has disappeared on the 1901 map. Photo by Michael Statham and info by the late Mike Stokes. Buttington is a small village just outside Welshpool in Powys. Thanks to Richard Paterson for the photo. Thanks to Richard Paterson for the contribution. Found: Near Springvale Adit, Pontnewydd, Cwmbran. A brick works was opened after the discovery of Stourbridge quality fire clay seams at the Porthmawr Adit, Upper Cwmbran, opened in 1837. The company changed hands another three times (R Blewitt, who possibly operated under the name "Cwmbran Fireclay Co", Henry Parfitt and GKN). The works closed down about 1915. 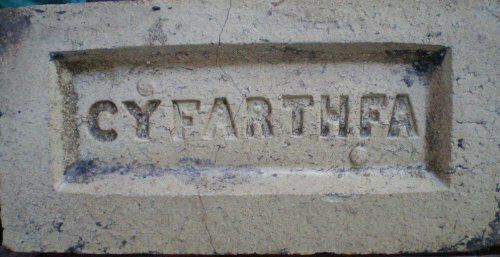 See also: Cwmbran Fireclay Co and Parfit H. It is possible that "CB" refers to Cwmbran Brick, and is associated with this brick works, but only about four "CB 1" or "CB 2" examples have been found overall. 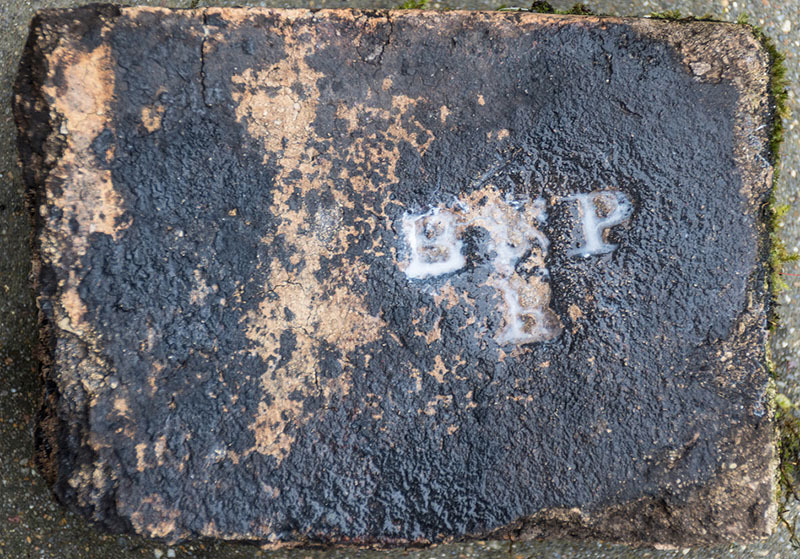 There is also a CB 1 brick in a wall at the top of Upper Cwmbran Road, just below where the brickworks used to be. Photo and info by Lawrence Skuse. A modern bungalow now stands on the site of this former brick and tile works which was situated at the end of the road which goes down to Church Bay (Swtan). Coal for the firing of the kilns was delivered to the works via barges and ships and then moved by horse and cart up the slipway from the beach. A local farmer was employed with his team of horses to bring the coal up this steep slipway and his payment for delivering the coal was that he received the last load from each delivery for himself. He then sold this coal locally at 4 and a half old pennies per cwt. The works closed in 1908 after only being in production for a few short years due to the poor quality of the clay. Info and Photo by Martyn Fretwell courtesy of Swtan Museum where the tile is on display. 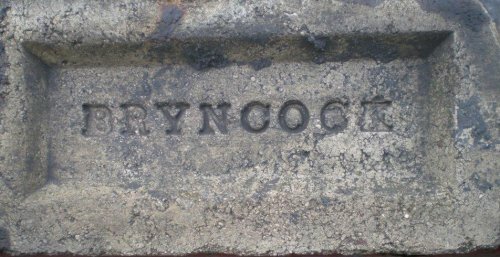 Clyne Valley Brick Co, Swansea. Photo by Phil Jenkins. 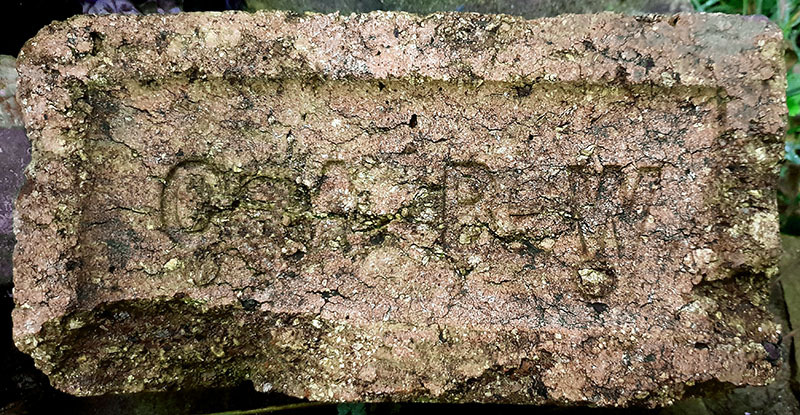 A double-frogged brick from the Cogan Pill brickworks at Penarth, one of two brickworks originally in the town. Penarth Leisure Centre now stands on the site of the Cogan Pill works. Photo and info by Richard Paterson. 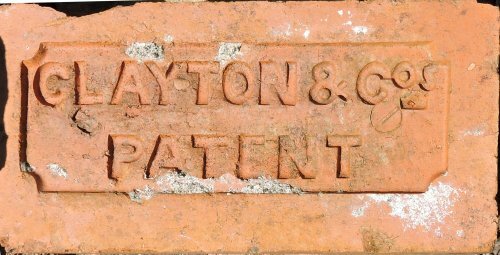 This brick was more than likely made by Copper Pit Collieries Ltd. in Morriston, Swansea after 1908 when they re-opened the Copper Pit mine. The Copper Pit Brickworks, Neath Road, Morriston, Swansea is listed in Kelly's 1923 & 26 editions. Photo & Info by Martyn Fretwell. Found at Pontnewydd Golf Club, Cwmbran. Other than "Cwmbran", unattributable. My feeling is Whitehead as some of their bricks have "Whitehead" in a similar, very narrow frog but there is nothing to support this. Photo and info by Lawrence Skuse. Prior to Cwmbran becoming well known as a New Town, references to Cwmbran were always followed by Newport in order to establish where it was. The brick works was located in Oakfield near to Cwmbran Stadium but Kelly's of 1895 and 1906 also list the company as at Llantarnam Road, Cwmbran (this is also given as the location for the Star Brick and Tile Co Ltd). The company was, anecdotally, still operating in 1958 - thanks to Lawrence Skuse for the info. Found at the pump and filtration station, known locally as 'The Water House', for the nearby Blaen Bran Reservoir in Upper Cwmbran. This was the site of the former works. Photo and info by Lawrence Skuse. further info on this website. 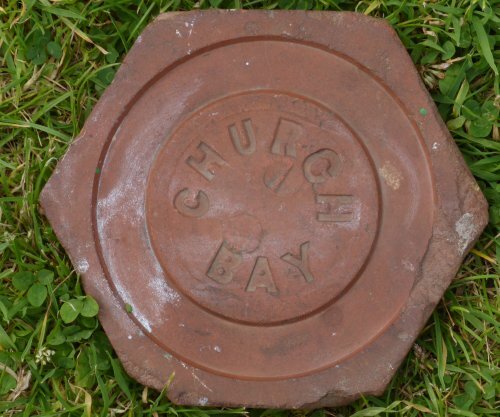 Made by the Cwmgorse Brick Co in, what is now, West Glamorgan. The Cyfarthfa Brickworks stood on the historic Cyfarthfa Ironworks site in Merthyr Tydfil, photos by Richard Paterson. Cynghordy is a small village in Carmarthenshire.